Which Institute Can Teach Correct Pronunciation? When it comes to communicating in English, it is essential that you know how to pronounce the words correctly as well as how to use the correct grammar. Pronouncing wrong words can create an impression that you are ignorant towards the language or you don’t want to learn the correct pronunciation of words. 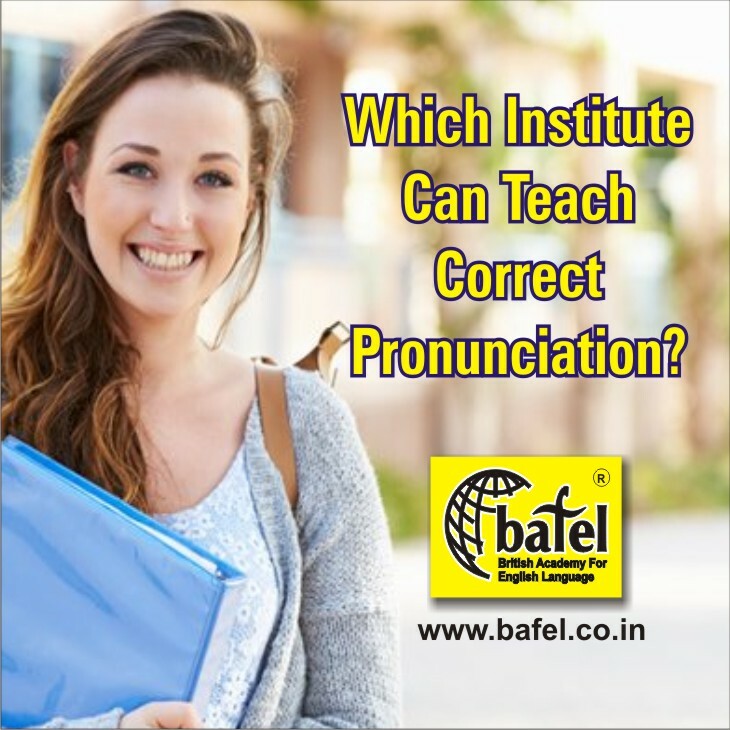 But if you are looking for an institute which can teach you the correct pronunciation as well as teach you how to speak in English fluently, then BAFEL is the only institute for you. BAFEL has a team of experienced and well-trained faculty and trainers who will help you to speak in English fluently as well as will teach you the correct accent so that you don’t face humiliation in Public and acquire the right pronunciation.